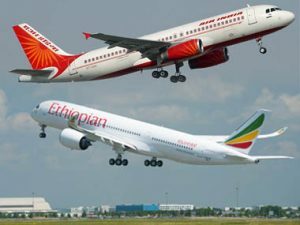 Air India and Ethiopian Airlines, both members of Star Alliance and with an extensive network in their home countries, have agreed to strengthen their cooperation by expanding the current free-sale codeshare agreement, thereby allowing Air India to access Ethiopian Airlines’ network in Africa and Ethiopian Airlines to access Air India’s network in Australia and Hong Kong, in addition to the Indian domestic points. 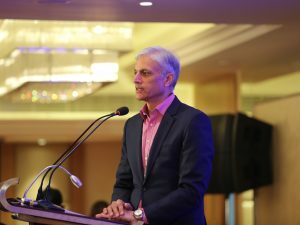 Tadesse Tilahun, Regional Director for Indian subcontinent, Ethiopian Airlines, commented, “The expanded codeshare cooperation between Ethiopian Airlines and Air India gives seamless connection to our esteemed customers. He added, on top of the seamless connection, passengers will get more benefits such as accruing their miles as both airlines belong to the largest airlines alliance – Star Alliance.” “Air India’s esteemed passengers now have access to multiple destinations in the African countries served by Ethiopian Airlines through this expanded cooperation with our long standing partner airline, Ethiopian Airlines, viz through Addis Ababa to Accra, Seychelles, Mombasa, Gaborone, Johannesburg, Cape Town, Kilimanzaro and Zanzibar vv sectors besides the existing access through Addis Ababa to Nairobi, Dar-Es-Salaam, Harare, Entebbe and Kigali vv sectors. Likewise, Ethiopian Airlines customers will be able to access a number of points on Air India network through Delhi to Hong Kong, Melbourne and Sydney vv sectors besides the existing access through Mumbai and Delhi to Chennai, Hyderabad, Bangalore, Thiruvananthapuram, Kochi, Ahmedabad, Kolkata, Goa, Jaipur vv sectors”, said Seema Srivastava, Executive Director – Strategy and Planning, Air India.